Some of my favourite social history images in Te Papa’s photography collection are of trampers taken by Leslie Adkin (1888-1964). Back in the 1920s and 30s, trampers who ‘went bush’ courted scandal – especially those who went out in mixed groups. 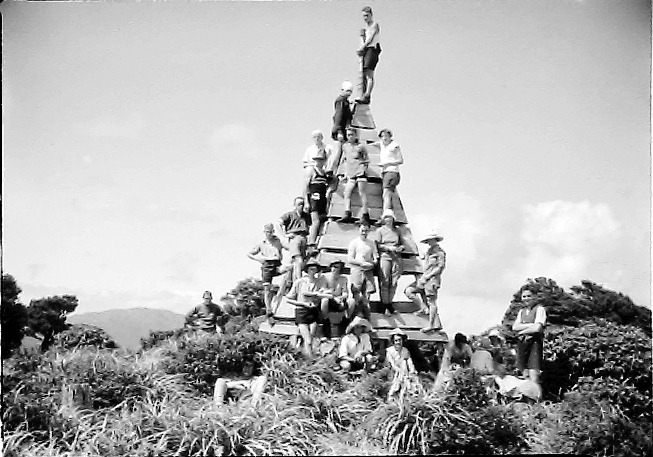 So in 1921, to keep things seemly, two chaperones were amongst the 60 men and women who scaled the summit of Kapakapanui. The scanty and scruffy clothing worn by trampers also caused concern. 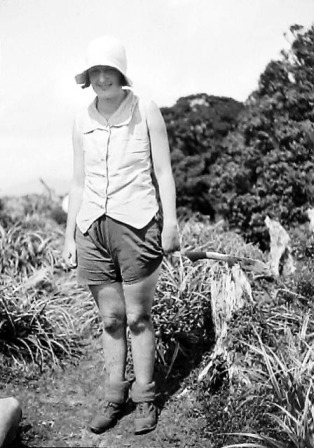 On Kapakapanui, in the 1930s, Victoria University College trampers were pelted with dirt and debris by members of the Tararua Tramping Club, because some of the students were tramping without shirts! These holidays I decided to follow in the footsteps of these depraved trampers, but to avoid any censure I made sure I kept my shirt on! Kapakapanui is inland from Waikanae near Reikorangi. It’s a decent day tramp close to Wellington or you can do the trip overnight, staying in the hut built in the 1960s that is along the way. 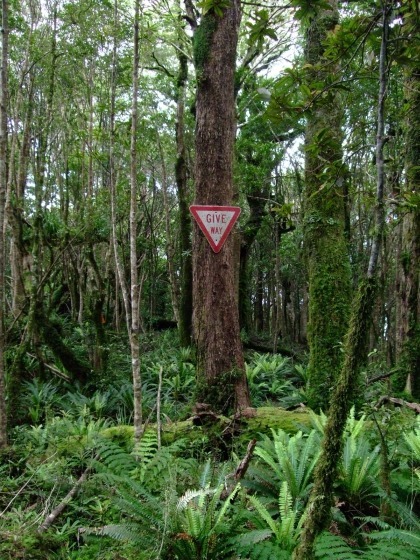 This tongue-in-cheek sign was near the hut and completely redundant as there were no other trampers on the track. 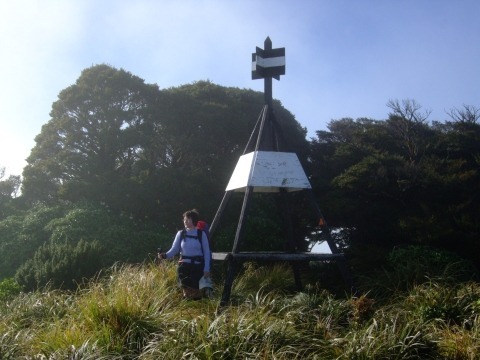 After a night in the hut, I was up at trig on the highest point just as the morning mist was clearing. 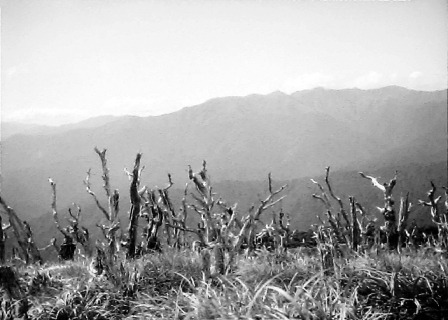 You can see that there is less vegetation on the summit – an accidental fire cleared it in 1903. The openness on the top meant there were unimpeded views inland and out to the Kapiti coast. It was a relief from the claustrophobic, stunted forest, which was a bit like mutant topiary, that I’d just walked through. The summit reached, it was a steep descent down to the car and a cup of tea. 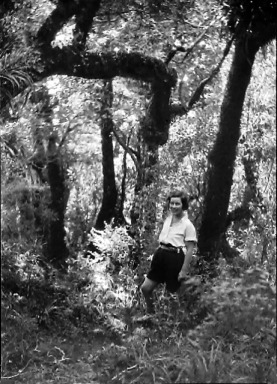 Read more about Leslie Adkin on the Dictionary of New Zealand Biography website. Search Collections Online for other Leslie Adkin images.